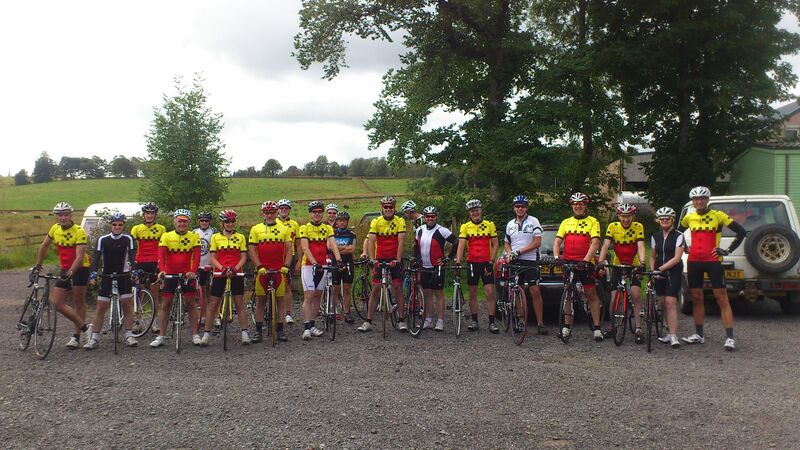 Our club organised their first Reliability Ride for August from Dumfries across to Bridge of Dee, Loch Ken then Corsock. It was a bit later than the traditional time in Spring but enjoyable nonetheless and different from our usual club runs. 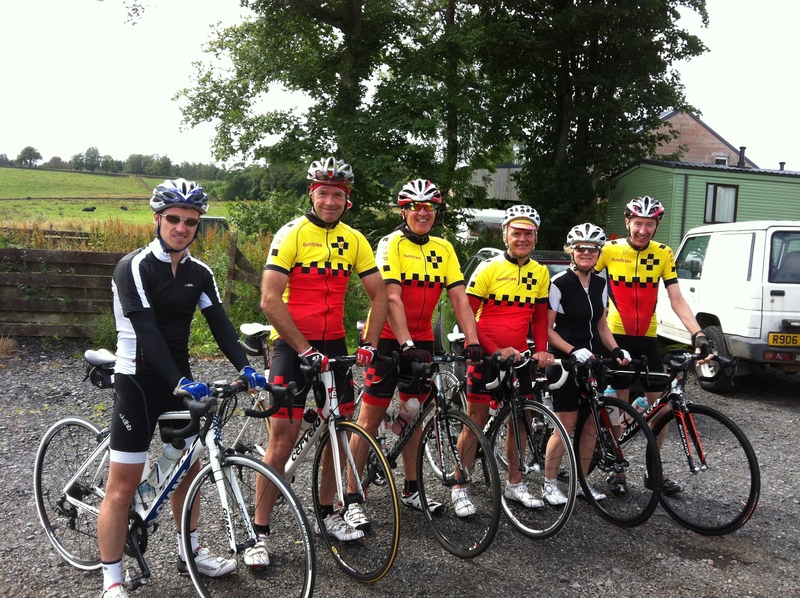 We divided into 3 groups – 15, 17 and 19mph average over 55 miles. It’s definitely different riding in a group to a set time. 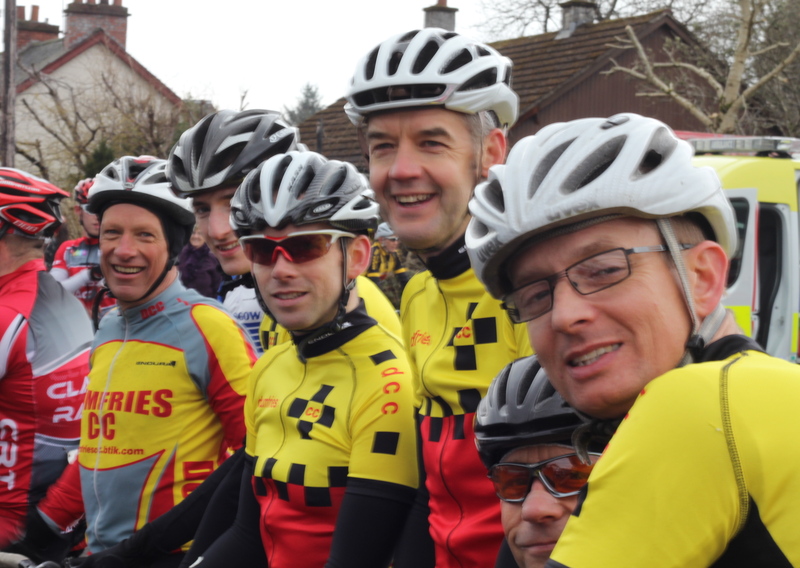 Unlike club runs you suddenly become aware of a collective goal driving the pedals around which everyone in your group is responsible for – MAKING YOUR TIME! Group One looking rather pleased with themselves! I rode in the 19 group and I never felt we were on top of our average speed…it seemed to constantly elude us. 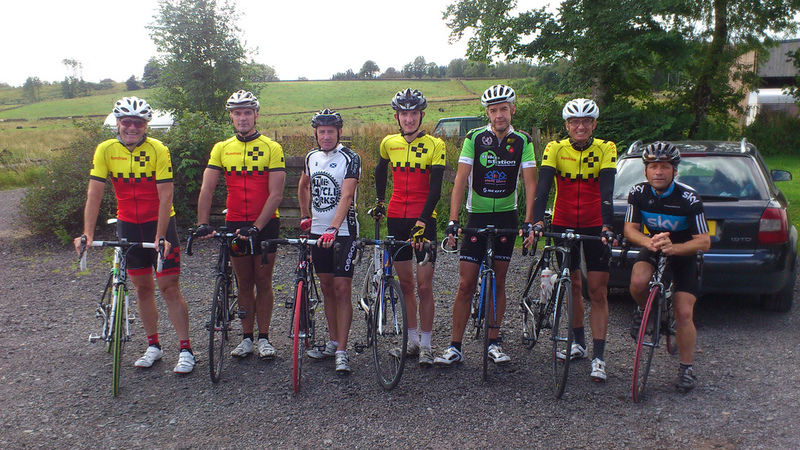 It certainly made for an interesting ride and I found us talking more tactics than we ever would on a normal Saturday. We tried through and off, someone at the front riding tempo and, for the final section, two guys at the front drilling it. 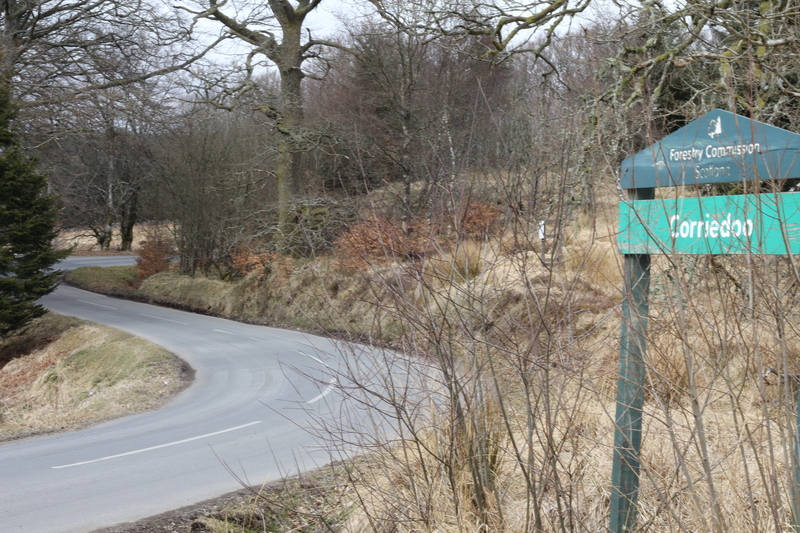 We certainly sounded like the crossest cycling group in Scotland at times with some choice expletives especially along the Loch Ken section. Unbeknownst to us at the time, our anxiety was nothing compared to the 17 group who suffered 4 or 5 flats. This would be enough to have you heaving your bike over a dyke but it didn’t puncture their resolve or their motivation and they arrived with 17.7 on their garmins…chapeau. They had the biggest group which can bring its own problems. Cool as cucumbers were the 15 group who we passed on the Loch Ken. They seemed to be gliding along unworried and well organised. We finished the official part of the ride at Pringles Pub in Corsock – great grub and I discovered people more fond of cake than myself. I enjoyed the day and the way that your own efforts are part of a bigger purpose. 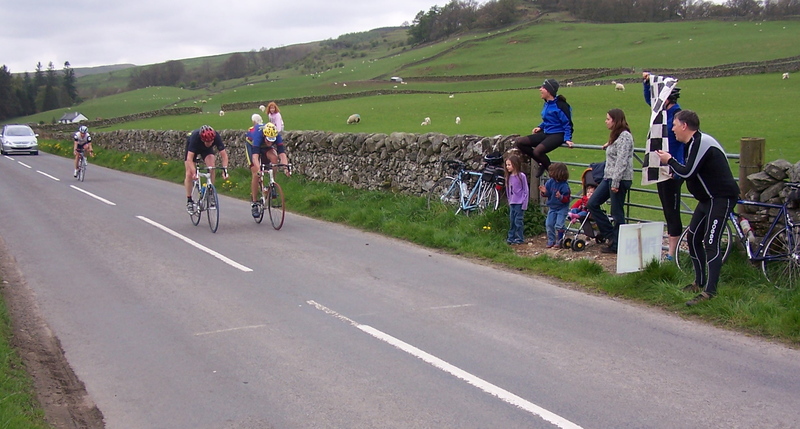 Wild Hills 2004 – Whisky in the bidons? 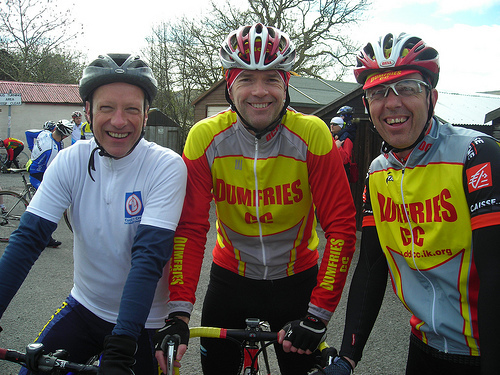 Clubman – How long have you been organising the Wild Hills race? Dave Moss – Well the oldest file I can find is from 2004, so it’s being going at least that long( 9yrs). 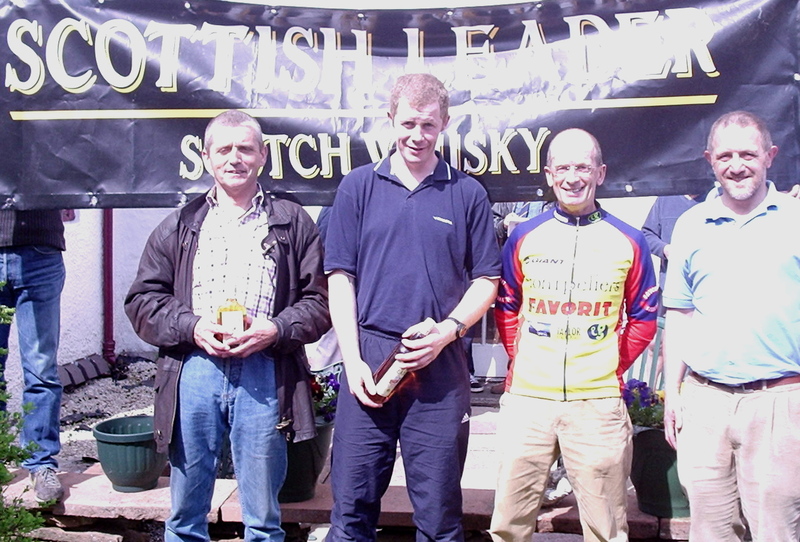 It seems we had sponsorship from Scottish Leader Whiskey that year ! 30 finishers. This year we have over 75 riders competing. 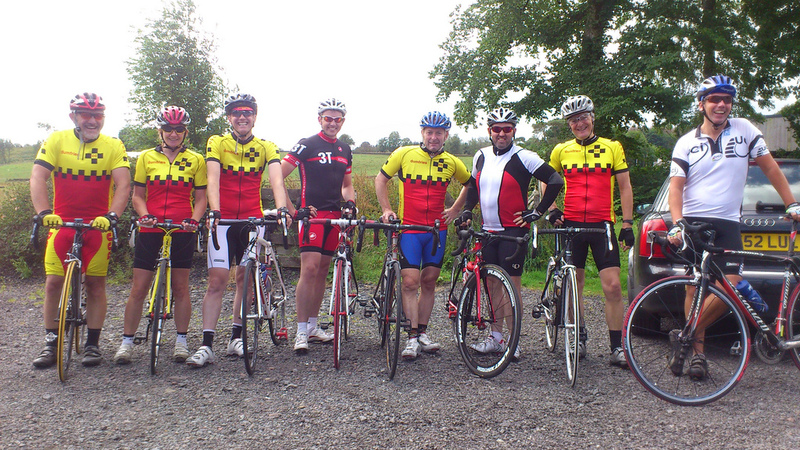 Clubman – Why do you think the race has become so popular with riders? Dave Moss – I suppose it’s because it encourages participation from all ages and abilities. Perhaps it’s the chaotic organisation that prevents it being taken too seriously and helps maintain a friendly atmosphere! Another factor might be that word has gotten around that Moniaive is actually not in the back of beyond, but fairly easy to get to from Ayrshire and Glasgow. The fact that it’s one big circuit rather than laps ( so you have to keep going if dropped ) and the long downhill finish seems to make everyone forget the pain they endured to get there. 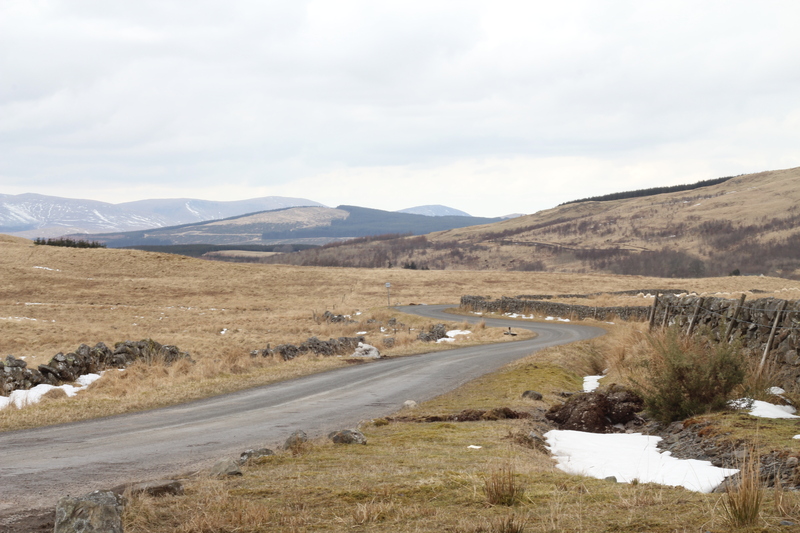 Clubman – What memories of the Wild Hills do you have from over the years? Dave Moss – Having to ask the riders who won! The large number of riders for whom it’s been their first race is a special satisfaction. The fact that some of Scotland’s top amateur riders return year after year is another plus. 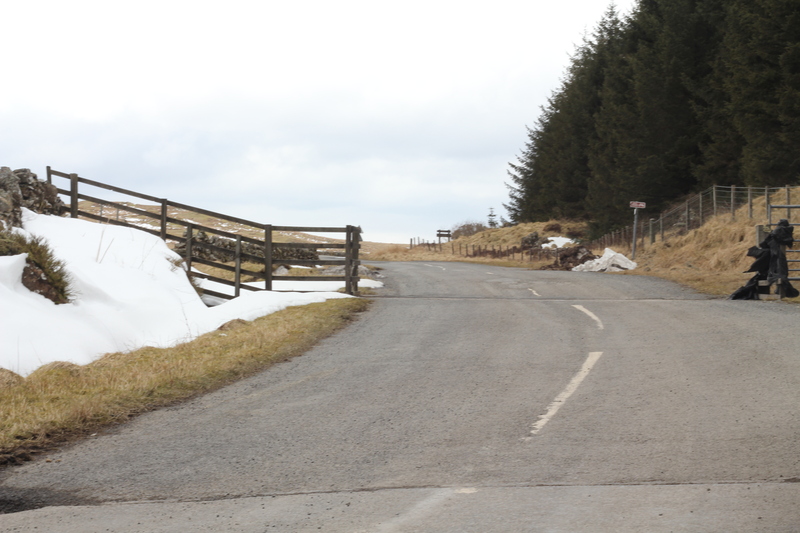 Climb out of Moniaive – dig in! 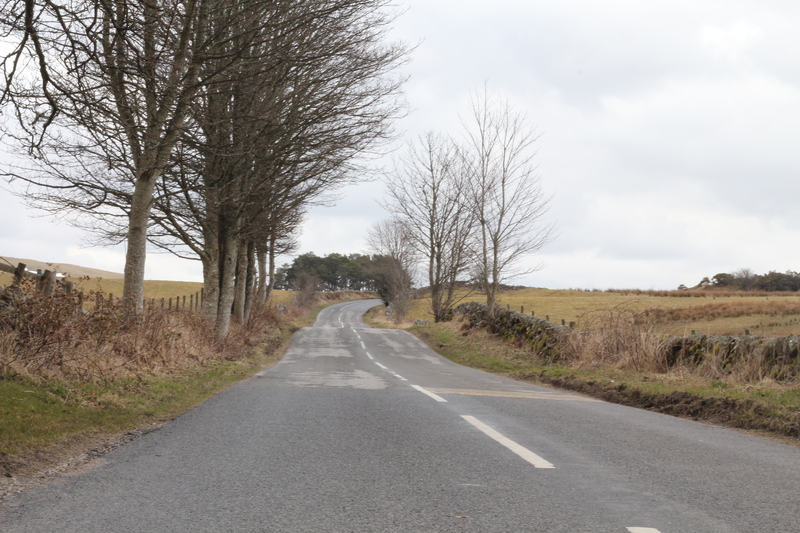 Clubman – What advice would you give to riders on the road? Dave Moss – Well there’s three crucial things to keep in mind. Number 1 There’s no point in attacking on the first climb as you will need the bigger, power riders to help you on the next 16 miles. If you are intending to attack do it from Dalry. There you will need to build up a substantial gap on the series of climbs if you’re going to hold it on the final downhill/ flat run in. 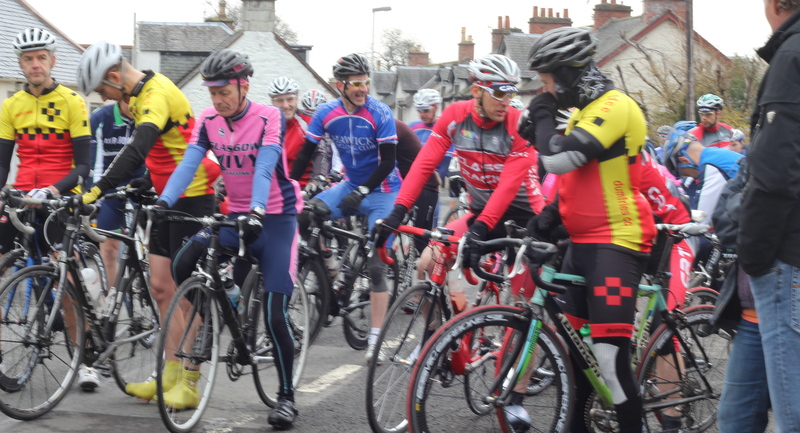 Ready to attack on the climb out of Dalry? Dave Moss – Secondly – If you get dropped from one of the first groups, don’t ride it like a time trial, recover so you will be ready to get on the back of a faster group when they catch you. And finally never give up! The course splits the field and there’s always riders to catch or ones who catch you who can race to the finish, and the prizes are distributed randomly, you might get one for 50th place! The 13th turned out to be a dry day with good conditions for the route. One or to little scrapes aside, the route was as challenging as ever. 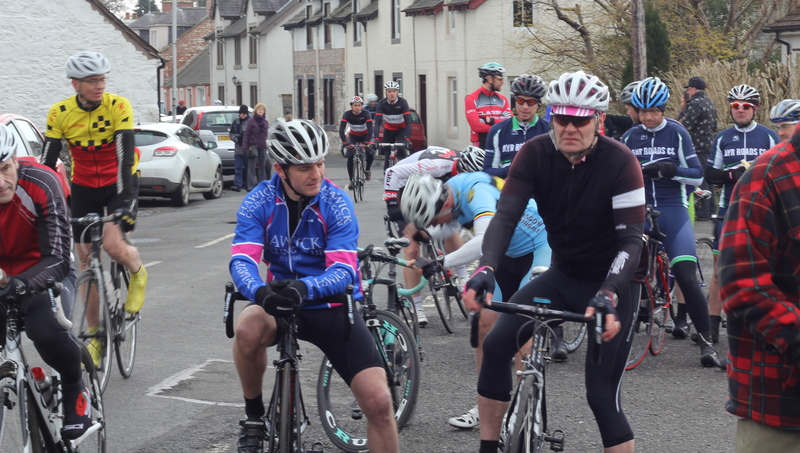 The scratch group caught forward groups in smart time and as in many past encounters, the decisive attacks came on the climb out of Dalry. Congratulations to all the riders for providing an excellent race day. Below is a little video with some interviews and photos.